This volume is intended as a Gedenkschrift to celebrate the work and legacy of Dr Brian Dobson. The papers are provided by members of the Hadrianic Society, which Brian was instrumental in setting up over 40 years ago, and represent a range of Roman scholarship by current and former university professors, museum and post-excavation professionals, field archaeologists and non-professionals. 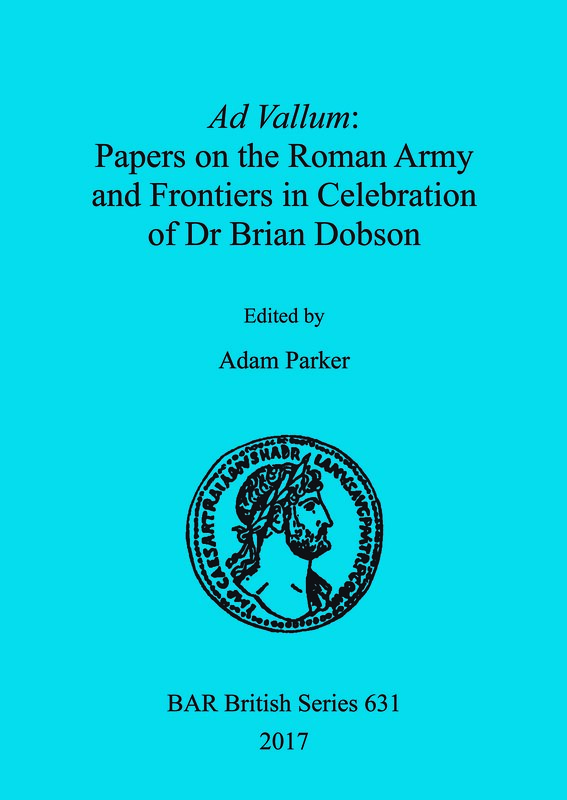 The range of papers is indicative of the range of interests held within the Hadrianic Society and those of Brian himself, but focus on the Roman army and Roman frontiers, particularly Hadrian’s Wall. Adam Parker is the Assistant Curator of Archaeology at the Yorkshire Museum and is currently undertaking PhD research with the Open University on 'The Archaeology of Magic in Roman Britain', a topic on which he speaks regularly at conferences and has taught at the University of York. Contributors: Adam Parker (Editor), David J. Breeze, Richard Bridgland, Jonathan Eaton, Beryl Elliott, Birgitta Hoffmann, Stefanie Hoss, Raymond Hunneysett, Lawrence Keppie, Michael King Macdona, Matthew Symonds, Paolo Trezzi, David J. Woolliscroft and Christopher Young.